If you have a “thing” for flavor and spice, this is for you. Slow Cooker Jerk Pork. Serious heat lives here. 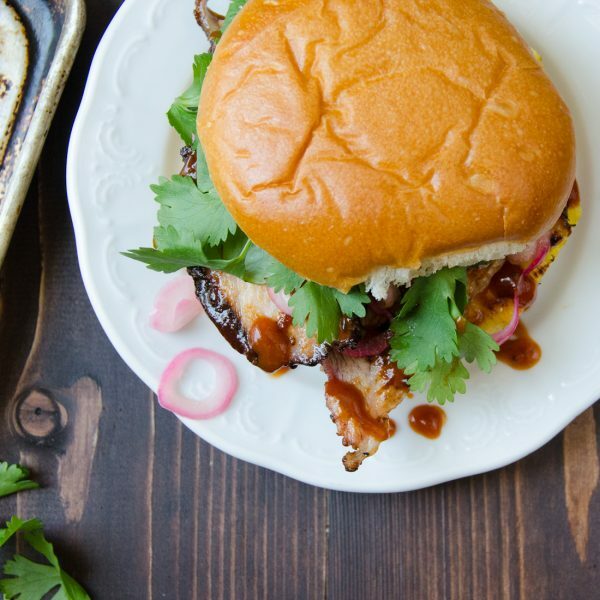 In fact, I’ve actually cut back the quantity of jerk from my original recipe because initially, it was a teary-eyed, can’t breathe – FIRE ON A BUN experience! This still packs a punch but in a good way.
] I know, I know — I’m a food blogger. I should be “making my own” jerk. I can see the disappointment in your eyes and I’m sorry I’ve let you down, but in my defense, once you’ve had this, you won’t even think about making it yourself! The flavors are so authentic. With scallions, fiery scotch bonnet peppers, allspice, nutmeg and thyme – this nose-tingling blend packs a punch and frankly, just ruins you for other “jerks”. — after trying other jerk seasonings, I can honestly say that this is THE BEST! Don’t even bother with anything else. 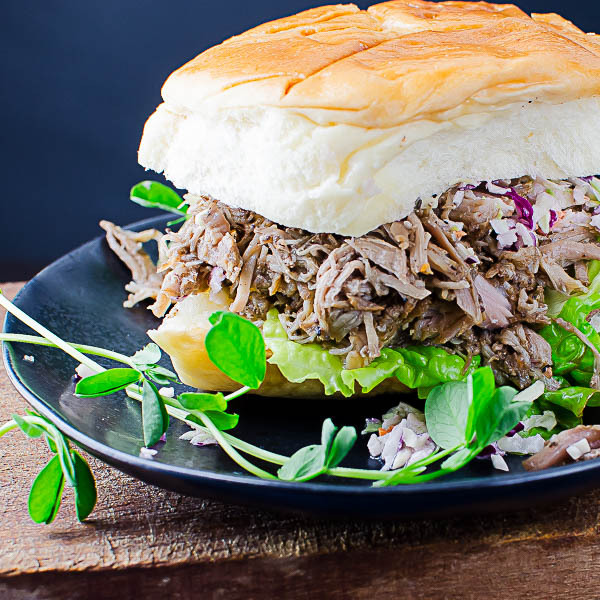 If you can’t find Walker’s Wood, I would recommend this delicious Carolina Pulled Pork instead – there’s no heat, but lots of smoke. This “recipe” couldn’t be simpler, either. Cut the pork shoulder into large cubes and coat it with some of the jerk seasoning. But beware! Don’t touch the seasoning with your bare hands! Those scotch bonnet peppers are fierce! 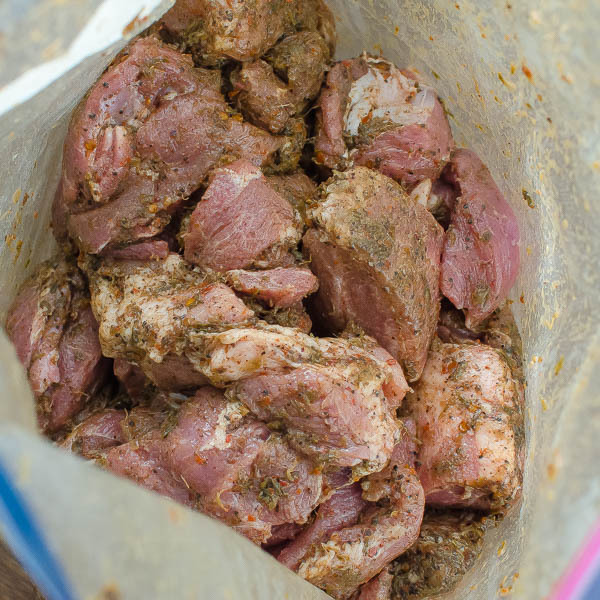 I place the pork in a large ziptop bag, add a few tablespoons of Walker’s Wood, seal the bag, then massage the seasoning into the meat from the safety of “outside the bag”. If you do get the seasoning on your hands, avoid touching your eyes — otherwise, it will BURN. Refrigerate for a few hours or overnight and transfer the whole thing to your crock pot to cook low and slow. When the pork is done, the meat is so tender and juicy that you’ll want to dive in headfirst! 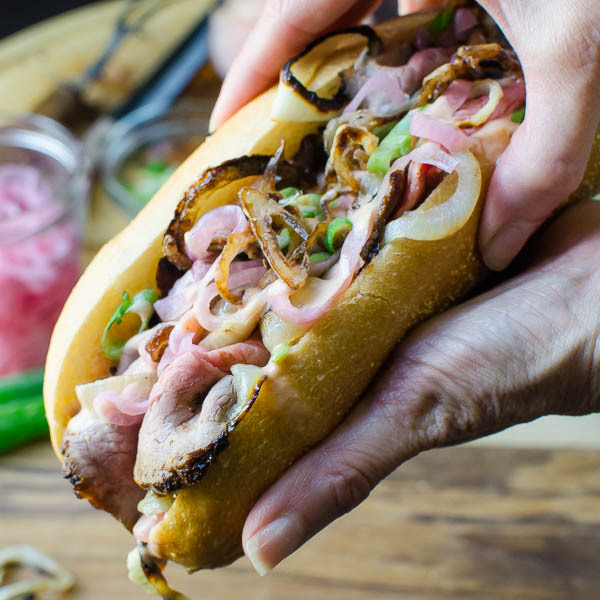 Use a pair of forks or tongs to pull apart the chunks of pork and shred it into a kind of meat confetti for your sandwiches. Since this recipe has a lot of spice, you need a way to tame the fire. 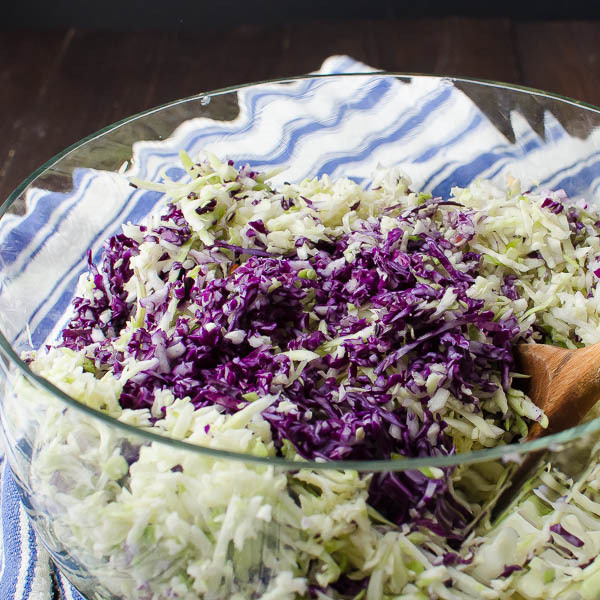 My favorite method is with a cooling, vinegary cole slaw. You can use a box grater or grating disc on your food processor to make short work of the cabbages and carrot. 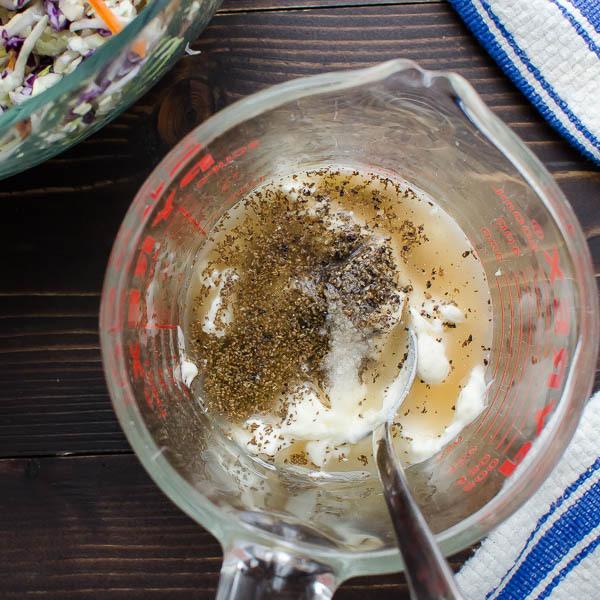 The dressing is a standard blend of sugar, vinegar and mayonnaise with a little celery seed. Pour the dressing over the cole slaw and toss to coat. 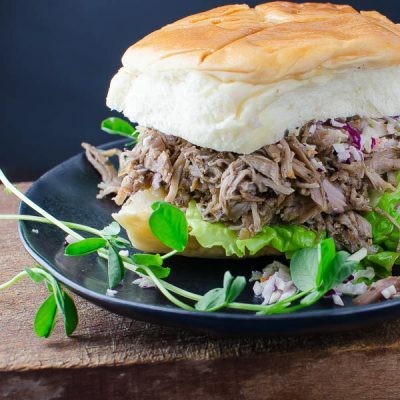 You can use any type of roll for these jerk pork sandwiches, but my personal favorites are either the King’s Hawaiian Rolls or Martin’s Potato Rolls. They both have a slight sweetness that really sets off the combo of the pork and coleslaw. 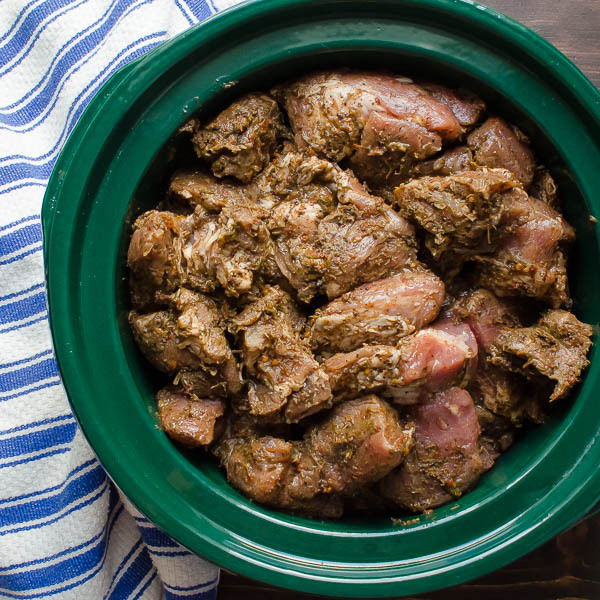 This makes a lot of jerk pork – so invite your friends and neighbors — and make sure your fridge is stocked with beer! 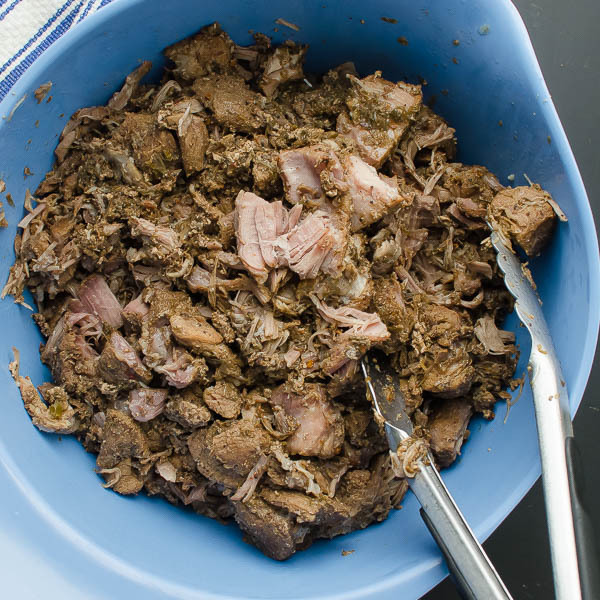 This easy recipe for fiery Jerk Pork is made in your Slow Cooker and feeds a crowd! 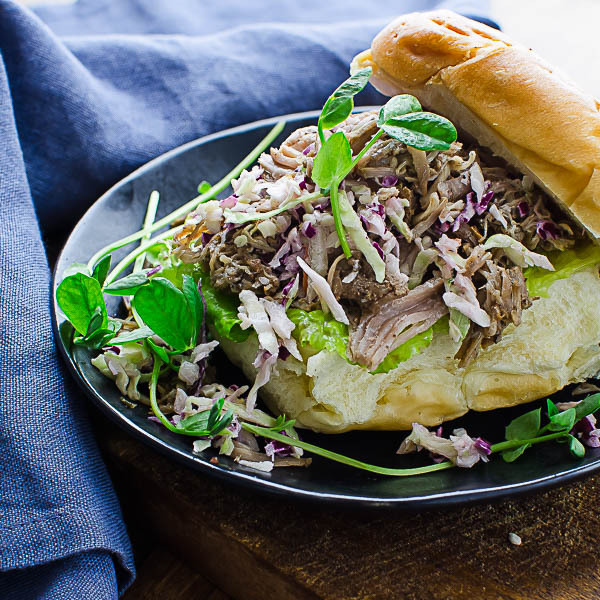 Makes the best jerk pork sandwiches with creamy coleslaw! Trim the pork shoulder and cube into large chunks. 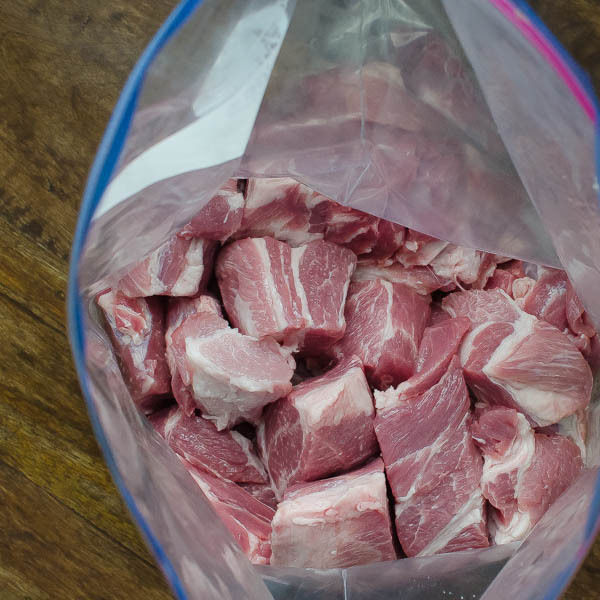 Transfer pork to a 2 gallon zip top storage bag. Add the jerk seasoning, seal the bag and massage the seasoning all over the pork. Refrigerate overnight. 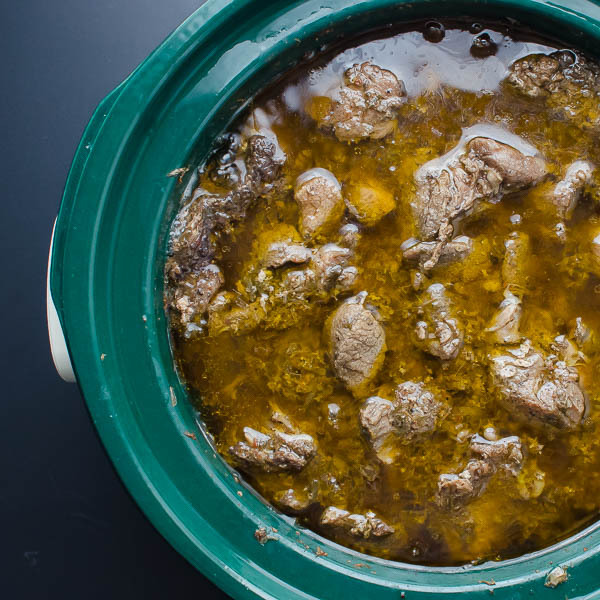 The next day, place the pork in the slow cooker, place the lid on top and turn it onto high for 6 hours or low for 8-10 hours or until pork is very tender and falls apart easily. 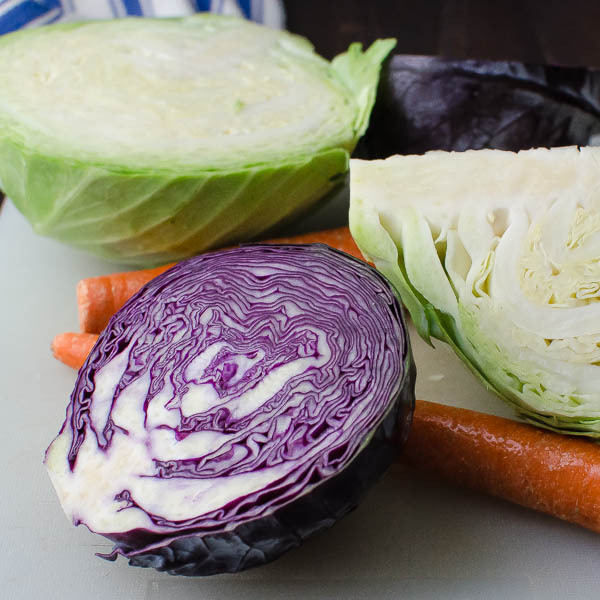 Use a food processor or box grater to shred the cabbage and carrot. Mix in a large bowl and set aside. In a small bowl combine the mayonnaise, vinegar, celery seed, salt and pepper and whisk. 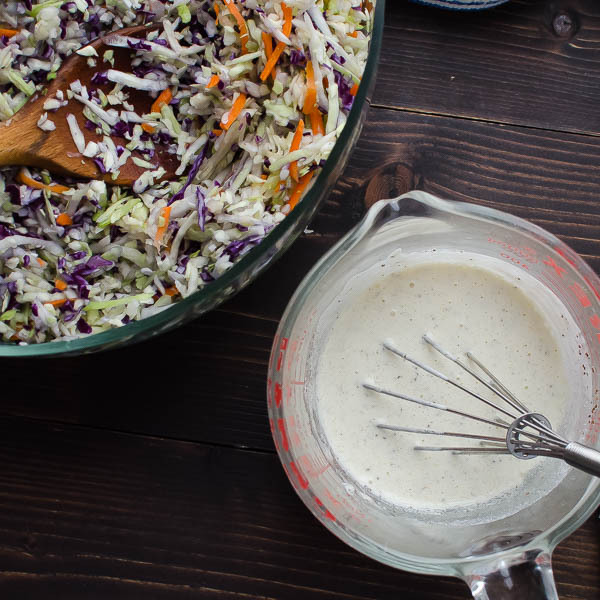 Pour the dressing over the cabbage and toss with salad tongs. Refrigerate until ready to use. Use a slotted spoon to remove the pork and transfer to a large bowl. Use a ladle to scoop the braising liquid into a large measuring cup. Transfer the pork to a large bowl and use two forks to pull and shred the pork. Return the pork to the slow cooker and add half a cup of vegetable broth and stir. Taste for seasoning. If it needs more liquid you can add more vegetable broth to tone down the heat slightly, or use some of the braising liquid to kick it up even more. 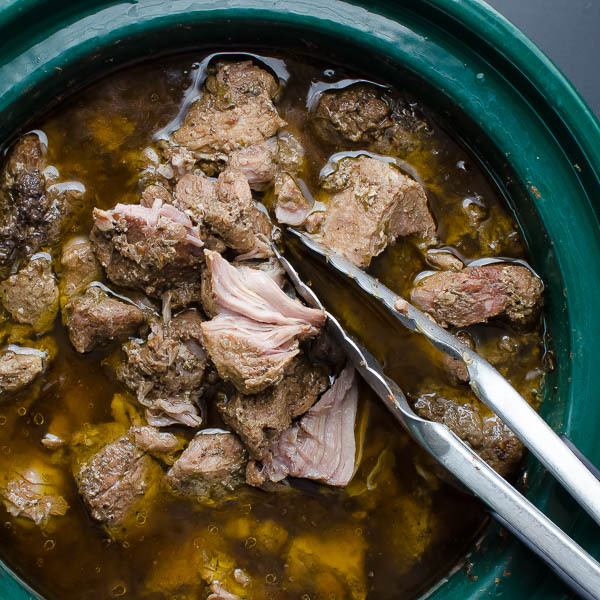 Pork should be moist and juicy, but not soupy. 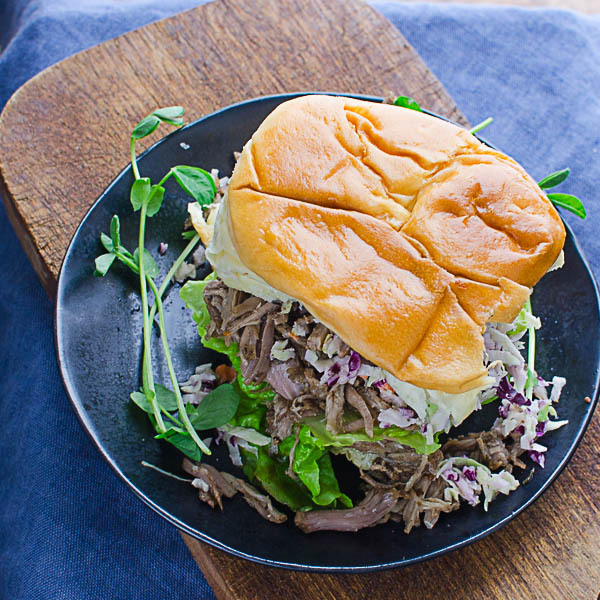 To make the sandwiches, split the rolls in half, place a leaf of lettuce on the bottom bun followed by a scoop of jerk pork, a spoonful of coleslaw and a sprinkle of sprouts. 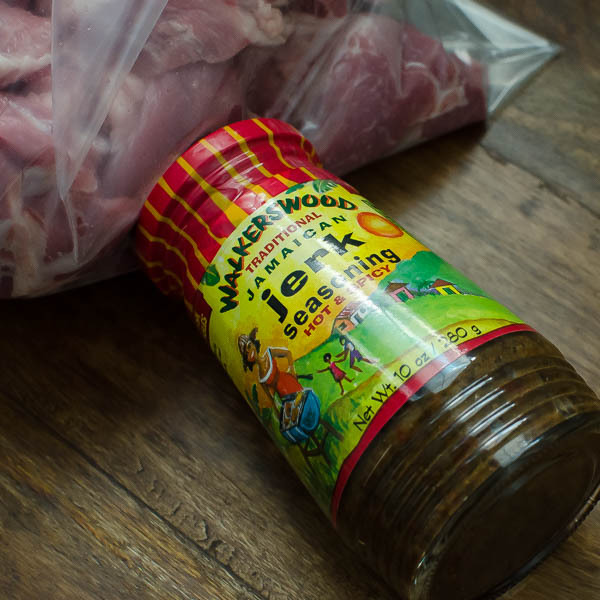 Avoid touching the jerk seasoning with your bare hands -- if you have any open cuts, it will sting and if it gets near your eyes, it will burn like the devil himself (take it from someone who knows). I’ve included links to it — so you can order it from Google, but you can also find it in ethnic markets — especially Caribbean or Jamaican ones. Well, if you say that Walkers Wood is the cat’s meow, I believe you. I’m going to start looking around for it. The pictures are so beautiful, even the RAW pork in the crock looked good enough to eat lol. I don’t advise eating raw pork — but yes, definitely check out the Walker’s Wood. It is powerful stuff! This looks so delicious! I love how you incorporated the cabbage. Yummy! 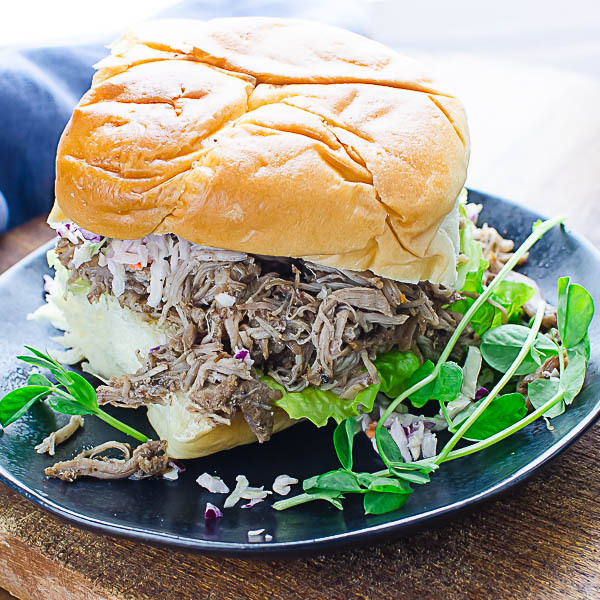 Pulled pork and coleslaw is a classic combo where I’m from in Virginia! Light it up I say! Love that it is so flavorful! Your coleslaw looks like a perfect balance. Great meal!! 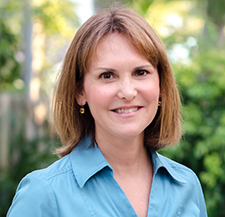 I like the way you think, Debra! I love pork shoulder! It’s so tender and delicious! I cannot wait to try these flavors! Beautiful! We love spicy, too! And this is the most authentic jerk seasoning I’ve ever had — been eating this for more than 20 years. That can be arranged, Laura! Love, love, love this recipe!!! 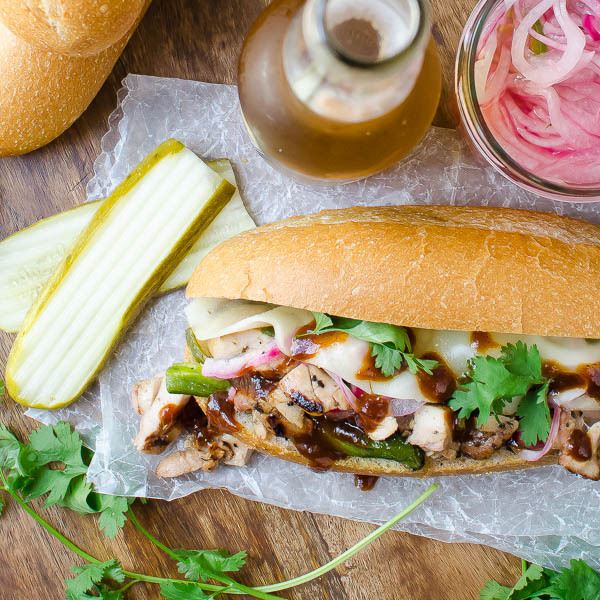 The hot jerk spiced pork tempered by the cool Coleslaw is the perfect combo. Can’t wait to try this! Well, you’re kind of a spicy gal, Nola — so I know this is up your alley! Thanks, Meeta! I’m glad you like it!